A compelling and timely debut novel from an assured new voice: Three-Fifths is about a biracial black man, passing for white, who is forced to confront the lies of his past while facing the truth of his present when his best friend, just released from prison, involves him in a hate crime. Pittsburgh, 1995. The son of a black father he’s never known, and a white mother he sometimes wishes he didn’t, twenty-two-year-old Bobby Saraceno is passing for white. Raised by his bigoted maternal grandfather, Bobby has hidden his truth from everyone, even his best friend and fellow comic-book geek, Aaron, who has just returned home from prison a hardened racist. Bobby’s disparate worlds collide when his and Aaron’s reunion is interrupted by a confrontation where Bobby witnesses Aaron assault a young black man with a brick. Fearing for his safety and his freedom, Bobby must keep his secret from Aaron and conceal his unwitting involvement in the hate crime from the police. But Bobby’s delicate house of cards crumbles when his father enters his life after more than twenty years. 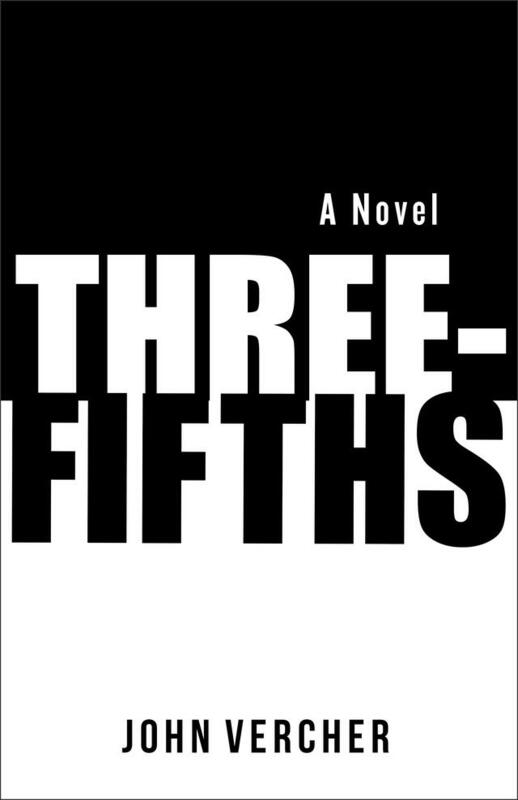 Three-Fifths is a story of secrets, identity, violence and obsession with a tragic conclusion that leave all involved questioning the measure of a man, and was inspired by the author’s own struggles with identity as a biracial man during his time as a student in Pittsburgh amidst the simmering racial tension produced by the L.A. Riots and the O.J. Simpson trial in the mid-nineties.